Lords of the Manor generally claimed the right to work coal under their lands. Previously the Abbeys and Churches controlled much of the coal bearing lands prior to Henry VIII’s disendowment. 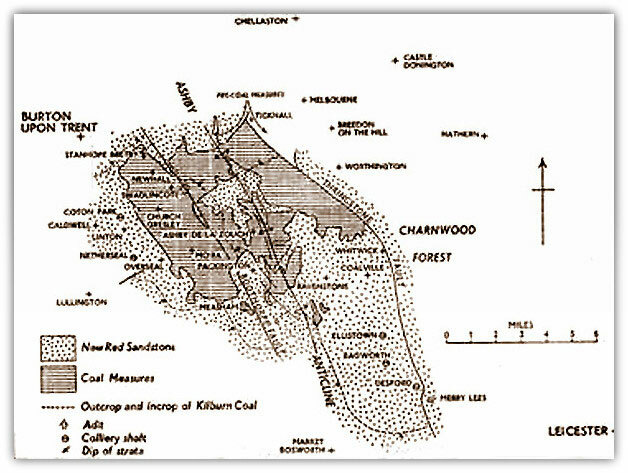 Certain owners of collieries in the late 1800s and early 1900s, when working a second coal seam at a pit would continue to call the second seam by the first seam’s name, or a local name, so that the vendors would assume that the coal was the same, or as good as they had bought previously, even though the constituents of the seams were quite different and probably not as good. According to John Farey, Coals were often sold at the pit head to the persons who had teams of waggons, and called Land-sale, at so much a corfe or box, in which they were drawn, instead of being weighed. Supposedly so many corfes or corves were equal to a ton and in many instances the Coals were laid in separate heaps on the pit hill, of a ton or ton and a half etc according to the usual loads required by their customers. Weighing machines were used at the larger concerns to weigh the tram-corves as they were drawn, or to weigh the loaded carts or waggons, and it was not unusual for the toll man to determine the weight at the nearest Turnpike and charge accordingly, (see 1808). 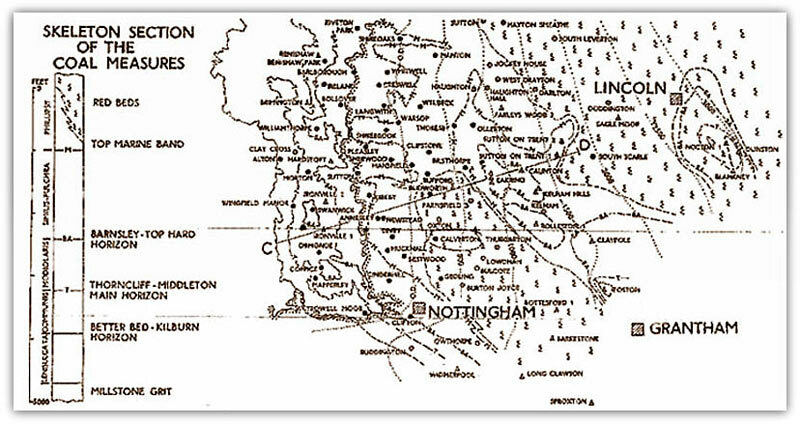 In the map of the Nottinghamshire and North Derbyshire Coalfield collieries are shown as a solid black circle, boreholes as a dot in a circle and oil wells as a triangle. The structure of the local Coalfield contains five large anticlines named the Whitwell, Brimington, Erewash, Mansfield and Eakring, all running with a general North West-South East direction. These are underground humpback hills with very steep slopes, sometimes aggravated by faulting and generally created problems, particularly with haulage systems for the transportation of the coal back to the pit bottom. On occasion the anticlines are associated with synclines or valleys and in the case of Eakring, the higher coal seams incrop (i.e. they have been eroded away) and are rising up into the water-bearing strata. Some anticlines have gas, oil and water in the top. Many years later in the 20th Century at Ollerton and Bilsthorpe, constant checks were made on advance into that area and panels had to be stopped as a safety precaution when the overlying strata to these measures was 50 yards (45m) away vertically. Similar surveys were done at several of the shallow mines in Derbyshire, e.g. Oxcroft. The Ashby-de-la-Zouch anticline affects the South Derbyshire field. Many areas of unconsolidated deposits are to be found in the South Derbyshire and Leicestershire Coalfield and great care had to be taken because of the danger of inrush of water from the New Red Sandstone measures, and to avoid working too close to these identifiable deposits from Geological plans vast areas of unworked coal are to be found. Mining is an extractive industry and as such, each enterprise has a limited life. The life of a mine can vary due to many reasons and could include the following: quality of the coal, seam thickness or size and position of faulting, depth from the surface, quantity or ingress of water, practicality of a haulage system getting the coal from the coal face to the shaft or adit, or the economic position of the mine in relation to markets, boundary of the mine or extent of lease, the limit of practical ventilation, condition or deterioration of the shafts etc, etc. Many collieries over the years changed hands and usually in doing so the name of the colliery would be changed but many of them would still be referred to locally by an old name that would stick. Most ‘large mines’ would be sunk with the idea of achieving a lifespan of 70 to 100 years and as will be noticed many exceeded this, in fact doubled that figure. The plan below shows the division in the Nottinghamshire Field of the unconcealed measures in the west (that is where the coal measures outcrop at the surface) and the concealed measures to the east (that is where the coal measures are hidden by being overlain by newer layers of strata). Of course the reason for mining the coal in the first instance was to satisfy a market, and probably the main reason by those who sank the pits was to make a profit from the sale of the coal. Without the miners, the owners and managers, the mines could not have been worked, and with this in mind, manpower numbers, owners’ names and all the management teams where known, have been listed, along with their certificate number, where known. It is also interesting to see the progress of some men through their career and also to notice that many just disappeared after a short time in a job whilst others stayed in one position for many years. Granted, experience is necessary, but there is a case to be said, that by not stopping long at a particular mine, any ‘seeds planted’ i.e. changes made by an individual, they would never know whether it was ‘roses or nettles’ that had grown, and on numerous occasions certain ideas set up by one person have had to be sorted out by the person following! Like any other job really, where a ‘new broom sweeps clean’ – in fact I did it myself at Ollerton, but staying there for many years after I was able to reap the rewards of the initial ‘hard work’! At the end of the 20th Century there would be over 8,000 known vertical shafts and around 1,200 adits or sloping tunnels from the surface to the 35 or so workable coal seams in the three counties as well as many hundreds or even thousands of shafts to ironstone, lead (galena), silver and various other minerals such as calc, spar, chert, ganister, limestone, manganese, umber, clay, calamine, barites, belland, ochre, umber, zinc, fluorspar, gypsum, fireclay, black marble and including the unique fluorite called Blue John, there was even a small amount of copper mined. It will also be noticed that strangely apart from two or three, there are no two shafts the same depth. However this collection of books concentrates on the mining of coal from time immemorial to the present day and as will be seen, many of the smaller concerns ended in failure due to lack of capital or access to markets. The building of the canals in the late 1700s, then the coming of the steam railways in the 19th Century opened up previously ‘unthought-of’ destinations’ for the local coal and several of the larger coal companies made great progress by sending coal to London, a market previously only available to coal from the Northeast of England, transported there by ‘collier’ or coal ship from the 1600s. Some confusion arises at times regarding the closure date of a colliery. Sometimes it is only a coal seam that has been abandoned, as this became a requirement by law of the Coal Mines Regulation Act 1872 and also under Sec 38 of the Coal Mines Regulation Act 1887, where the plan of the seam was deposited within 3 months of ‘discontinuance’ of working (which is after 12 months), and the mine continued to work another seam. On other occasions the working at the mine may have stopped a couple of years before, due to change of lease or owner etc and it is only noted when the abandonment plan had been deposited, because 15 months is the maximum time allowed between a mine finishing and the deposition of the abandonment plans and the Mines Inspector’s report unless otherwise allowed by the Inspector. Usually a statement on the abandonment plan or copy of same reading as above…’ I certify that to the best of my knowledge and belief after thorough investigation and enquiry this plan is an accurate plan of the mine’… signed ………. Surveyor for the mine or company (certificate number after 1912) with the Mine Owner, Agent or Manager counter signing to state that no further working had taken place, since the date of the Surveyor’s statement (and final survey of the workings). Shown is the certification from the abandonment plan of the Top Hard seam at Ollerton signed by myself as Surveyor for the mine and Walter Standage as the Manager. An Inspector would attend the colliery in question to examine the plans usually guided by the Surveyor who would outline various aspects on the plan. 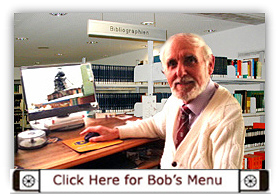 Over the years it has caused much confusion. Prior to 1911 very little information was required on the plan. Outline of the workings, position of shafts, depth where known, depth to the seam in question, dip of seam, a few levels on main roads if available, date of magnetic meridian (assuming surveys were done using this base) and any connection to other mines by roadway or goaf, or fault, name of seam if known and a section of the seam and company name. After the mines were nationalised in 1947, maybe a period of 3 months after cessation of working was required in order for the Surveyor to survey the workings at their final position, (say an average of 7 panels working), complete the mine plan to date, make a tracing copy of same on transparent linen, etc, write a brief report, on how the mine was worked but mainly about the correlation of the workings underground to the surface etc, but even so much information, particularly many of the roadways driven to work the coal by the old stall methods were not shown on the plan. Today with weekly measurements, retreat mining on one or a maximum of two faces only, and maybe 2 or 3 headings, there is no reason why an abandonment plan consisting of sectionalised flat sheets cannot be deposited within a few weeks. In fact this was done with the cessation of the Selby mines (Yorkshire) in 2004! A form named MI 7 stating the seam name, the abandonment date and the reason for abandonment and other statements where relevant such as the method of correlating the underground workings with the surface was filled in by the Surveyor who signed it and it was given to the Inspector in question who acknowledged the information by signing the form also. A copy was deposited with the abandonment plans at the Mining Records office and kept with the plans and any other written information deemed important as to the mine. In the early 2000s all abandonment plans and many such forms were scanned and were then accessible in colour by computer kept at the Coal Authority office. Copies of all plans available can now be printed off in colour on any scale. In some instances notably in the southern part of the Coalfield although seams had finished working many years before they were not abandoned until the mine was closed, sometimes half a dozen seams at the same time. Maybe it was because of the structure of the Coalfield and the closeness of the seams to one another roadways were always being driven in a seam that had been ‘abandoned’ to access another seam and therefore theoretically the so mentioned seam was not ‘abandoned’ until all work at the colliery had ceased. If the plans had been deposited with the Mines Inspector and then deposited at the Mining Records office it would have meant that the plans would have to been retrieved each time a seam was re-entered and sent back to the colliery and also the M&Q 212 notice completed for finishing or entering a seam and sent to the Inspector each time. As one can see this could have happened several times so I suppose there was certain logic to it. At many other collieries where the difference between the seams was bigger, a note would have been made on the seam plan being worked as to another seam being worked in roadways, sometimes by passing through a fault or a cross-measures drift, but only to access the main seam being worked at the time. Many seams have been entered in the course of passing from one major seam to another when a few tonnes of that seam will have been excavated, but these seams have not had special ‘abandonment plans’ made as they are generally annotated on the plan showing the access to the particular seam being abandoned (or shall we say – hope they have). In my opinion, and I would imagine the opinion of many more, it was a very bad mistake at the time not to differentiate between the discontinuance, closure or abandonment of a seam and the abandonment of the mine completely. Of course on occasion in the 19th Century, the seam or mine although abandoned, the plan of the seam at cessation of working was not deposited with the Inspector and could still lie hidden in a Solicitor’s safe or a box in an attic somewhere. In those days it was 10 years before a plan of an abandonment of a seam could be seen by a third party, so that any advantage known could be used by a proposed new venture. Maybe this is why on the numerous occasions as shown, ‘new’ pits were sunk on ‘old works’, or were only worked for a short time before coming across old works, causing the mine to be abandoned. Sometimes the plan was just forgotten about, or ignored, as per the Main Bright seam headings at Ollerton, developed from insets in the shafts in 1943 and stopped in 1946. A copy of a plan of the workings on 1/1584 and 1/500 scale was found at the back of a drawer whilst I was re-referencing all plans in the office. I did not know until then that workings in this seam existed. Following this discovery I made arrangements to access these workings accompanied by other interested parties of the management staff. A proper abandonment plan was made and deposited by me, after re-surveying / checking and levelling the accessible works of the Main Bright in 1979 (some of the headings being waterlogged), along with a brief report of the method of work (with additional information from Bill Bracegirdle NUM official, ex workman in the seam), correlation with the surface, starting and finishing dates etc. 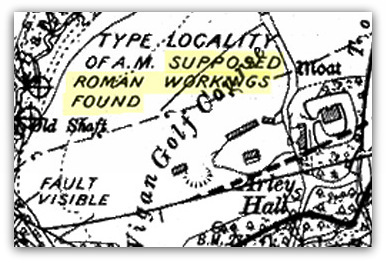 I have come across several references on modern abandonment plans relating to old workings not known about in deep mines being discovered when working that seam later, such as at Warsop colliery where a ‘Glebe district’ had not been surveyed or plotted on a plan and at Annesley colliery when widening an existing shaft old unknown workings were found. These two examples and there are others, were in seams far too deep at several hundred yards (metres) to have possibly been worked by separate ancient companies but were examples of possible oversights by the Surveyor at the time. It must be remembered that until the 1950s many colliery surveyors did not have an office at the colliery in question but would have been based at the NCB Area, or Sub-Area office after 1947 and prior to that would have been based at the private Colliery Company main office and would only attend at the relevant colliery when sent for or would go to the colliery every quarter to survey the workings to date. During the gaps between visits these particular workings would have been done and not necessarily would the Surveyor have been informed about it. This is the most logical explanation. On many occasions, the mine name was changed when another owner purchased the lease to work the coal after a mine had been discontinued, just to confuse the issue, and several examples, where known, are listed throughout the book. South Normanton colliery sunk in 1840s, named changed to Winterbank, then Winksbank, Winkobank and finally Wincobank. A later South Normanton colliery was sunk in 1893 a few hundred yards (m) away but was always referred to as Winterbank. Many areas of coal seams are known to have been mined in the past, but plans of the workings are either lost or were not surveyed at all, and therefore plans would not have been made. 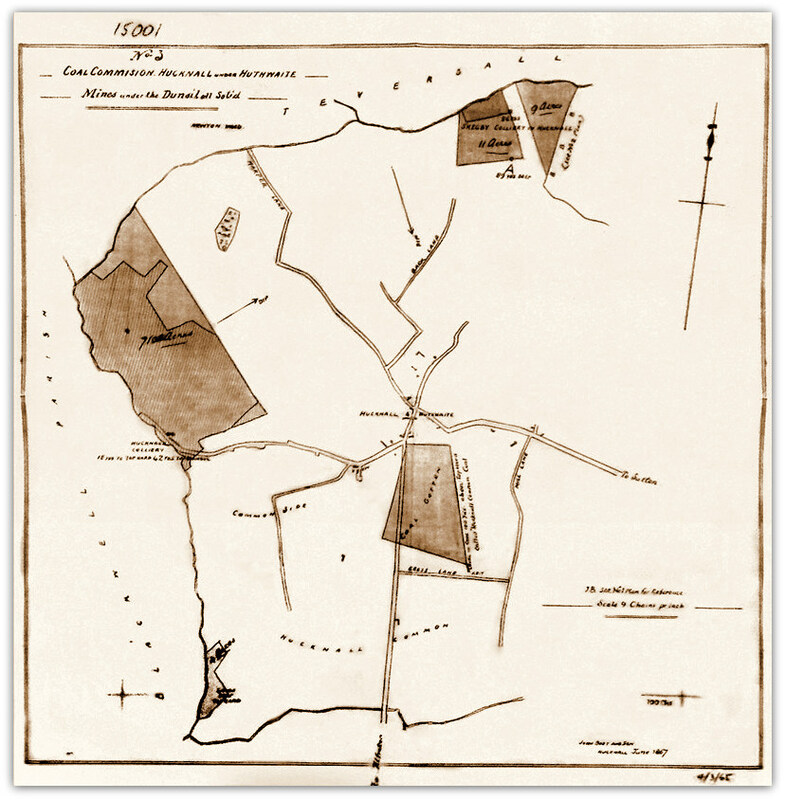 On occasion, plans have been made by various surveyors for the owners, particularly the Lords who held the surface rights as well as the mineral rights, but these have been mainly to show the amount of coal worked in acres, roods/rods and poles/perches up to various quarter days throughout the year, generally lease periods, and are shown as rough parcel areas on a plan. The only thing they were concerned about was the profit in £. s. d. (£ and p). Similarly for the Coal Commission plans of various dates showing parcels of coal worked. Basically the plans denote that coal was worked in that area, and must be treated with great caution as to their accuracy. It will also be noted that many of the smaller shallow mines in the 19th and early 20th Centuries were abandoned after coming across unknown old hollows or ancient workings, showing that the mining of coal must have without doubt, been carried out earlier than it has been suspected, when no record was made of the operations. In this region, fortunately, the vast majority of working of coal coming across ancient workings did not encounter any major dangers, but the few that did have detailed reports of the loss of life. Many mines had to be abandoned when water from old workings or water-bearing strata engulfed the new works, causing the mine to close and no doubt caused much expense for the owner, but also threw the miners at that mine out of work! 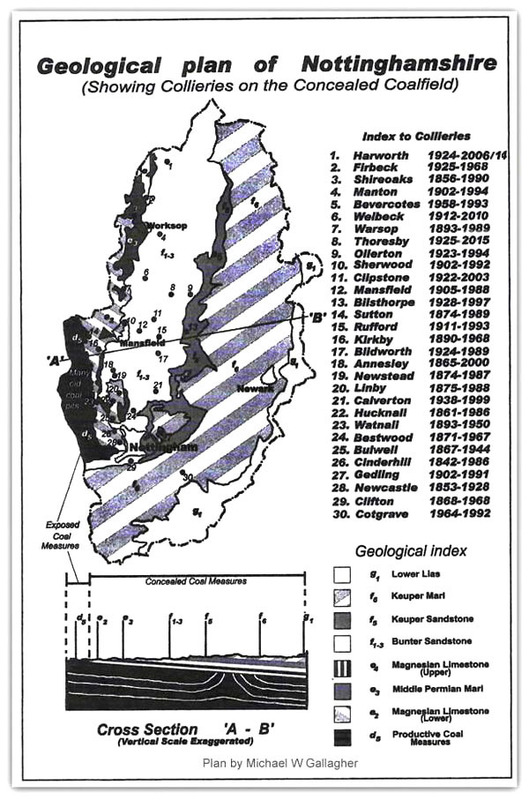 (Note remarks made later regarding several large mines that were flooded and closed after the re-privatisation of the mines in 1995).